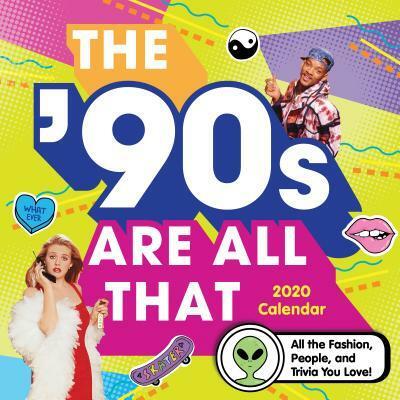 2020 The '90s Are All That Wall Calendar : All the Fashion, People, and Trivia You Love! Saved by the '90s? No duh! The '90s are back and better than ever, home skillet! Relive some of the most memorable moments of the decade with major events and trivia in this hella wicked 2020 calendar. And don't forget all of your favorite movie quotes, games, style icons, and superstars--this calendar's got all that and a bag of chips!